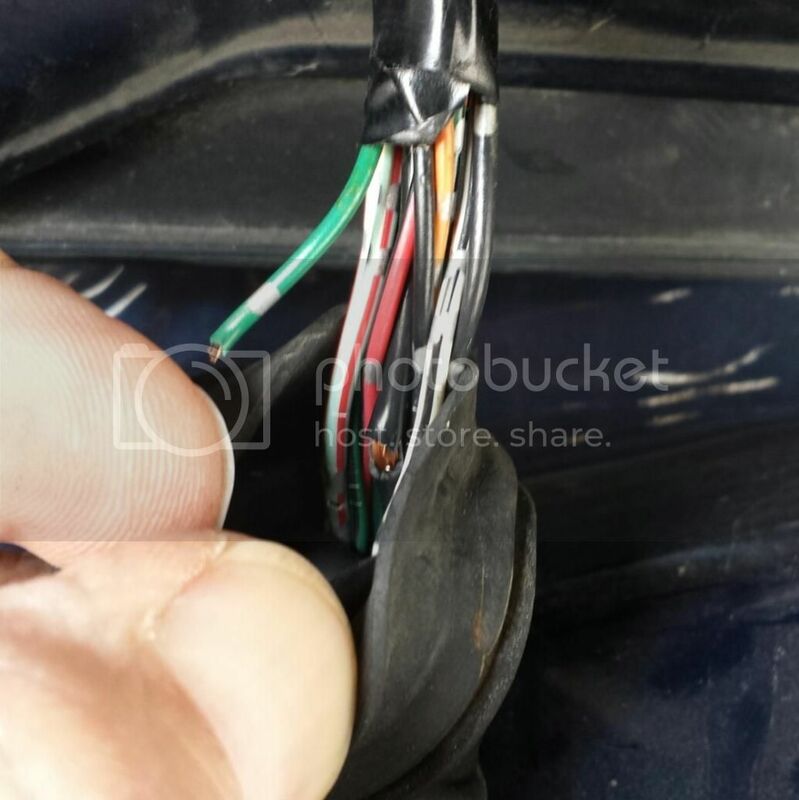 Here's a picture of the wire wear as the bundle comes through the body to the rear hatch. Mike, you called it - it's exactly what you described. The green/white wire is the only one I see that is fully severed (almost certainly the lead powering the rear wiper motor), but there are several others with worn through insulation. The bundle is very tight, short, and the wires hard to access within the rubber weather cover/grommet. I've used all kinds of crimp connectors/jumpers in the past, etc, but I'm not sure what would be easiest here. Anybody have any suggestions on the best/easiest way to reconnect the broken wire, and also cover the connected wires that have worn insulation? Or is Mike's old fashioned way the right way to go? Thanks! Last edited by dannyz; 02-27-2015 at 03:26 PM. If you don't want to go back in there plus not pull your hair out messing with tight short wires, then soldering in a 2 or 3 inch wire is the best bet in my opinion. Cover the soldered area with heat shrink and tuck the extra wire into the side that will accept it. The frayed one will most like break soon if not cut and soldered. Thanks again Mike, I'll jump them with short wire lengths and solder. (I know it is quite some time from the original post. Hopefuly dannyz could see my question. ) dannyz, glad you found the culprit for your problem. Since I am working the rear wiper motor of my 2004 odyssey recently, I am curious whether you checked the terminal 4-pin connector voltages during your trouble shooting. Update: I had the same issue as the OP. I soldered the broken wire(s) and use electric tape wrapped all those with cracks individually. The motor works since last year. Can anyone indicate if I remove the wiper arm, should I be able to turn the spline with a pair of vice grips back and forth? I suspect it might be a mechanical seizure. Before I dig into wiring on my 2003, or remove the back panel to get to the motor, I want to avoid dannyz 's ordeal. The shaft on mine rusted pretty good. I used penetrating oil and let it sit for a few days. That got it moving and then I put some oil on the shaft for lubrication. Just did it on the car. Got me thru the winter.